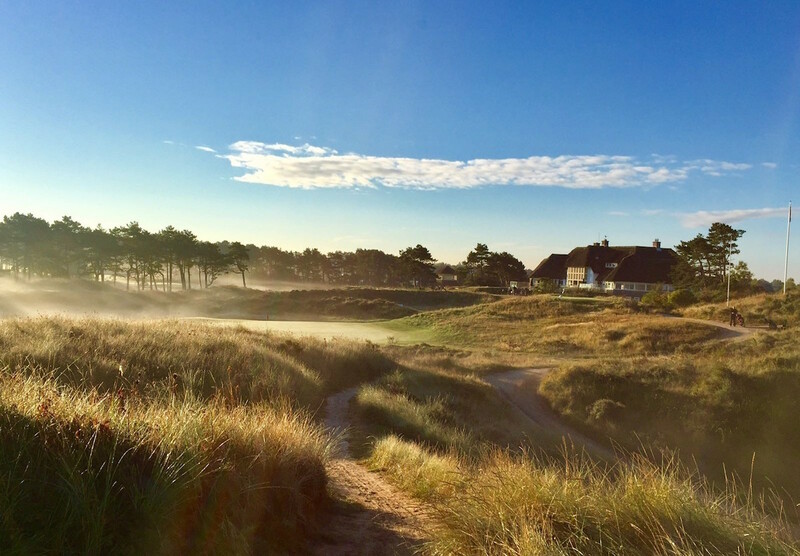 A short drive from Amsterdam, the 27-hole Kennemer Golf and Country Club is situated on Holland’s West Coast and is home to the oldest seaside golf course in the country. 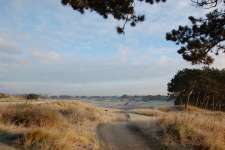 The original eighteen-hole layout was designed by the great Harry Colt during the 1920’s but was virtually destroyed by the Nazi’s during World War II when they occupied the property and built a massive concrete anti-tank barricade across the links. Parts of the wall have since been removed but a large section was simply covered with sand during the restoration project and remains within the site. While Colt’s original holes did not survive the war years there is no doubt that today’s layout would please him immensely as the course has been faithfully returned to near his initial concept. This is largely thanks to the remarkable collection of detailed correspondence between Colt and the club, which somehow survived the conflict. Aside from the tank wall, which scarred the landscape forever, the only diversion from his plan was the lengthening of the 3rd, a hole that Colt never liked anyway. More than a kilometer from the ocean, the property enjoys a seaside feeling thanks to an appealing mix of large rolling duneland and smaller internal contours that are covered in coastal underbrush and exposed to the ever present south-west sea winds. Just as he had done successfully at Muirfield, here Colt arranged his course in two loops with the back nine looped around the inner holes and boasting more of the significant fairway movement. The front nine is far from bland, however, and opens with a very fine hole played across a series of ripples and small ridges to an attractive green site. The next is a neat par three played over flatlands and into a heavily contoured plateau green atop a dune saddle. After a string of solid holes, including the improved 3rd, the course kicks up a gear at the brilliant 9th, a strong par four heading along an angled fairway that gently rises into an excellent basin green. The fun continues on the back nine starting with the terrific short par four 10th, which is semi-blind from the tee to a wild fairway that narrows significantly through dense rough as you approach its small target. The impressive 15th, played across a valley to the top of a steep dune, was Colt’s favorite hole and is the standout in a strong set of par threes. It is also the start of a superb run home that includes a reachable par five, a short par three across a thorny gully and a charming finishing four, set in the shadows of the thatched roof clubhouse. While the playability of the layout would improve with tighter fescue grasses in the fairway, this is a terrific journey from start to finish with barely an indifferent hole on the entire course. 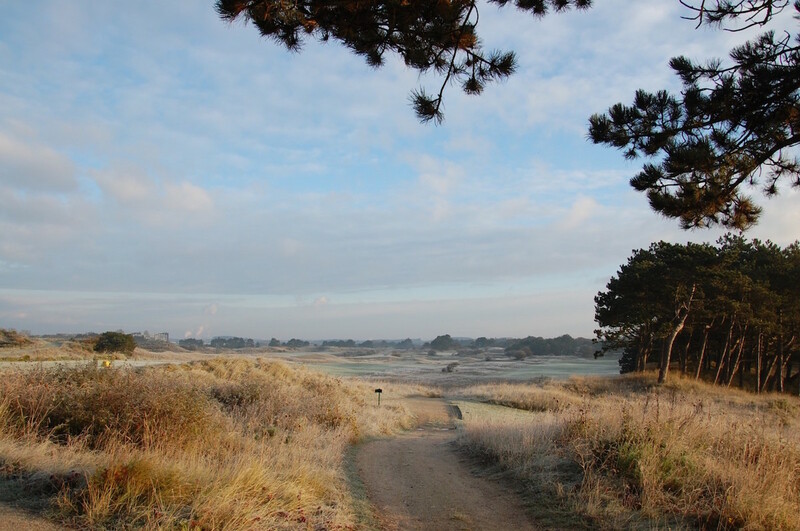 There is also a third nine at Kennemer, which opened in 1985 and is a long way behind the quality of the Colt holes but significant because it was the last work of architect Frank Pennink who died shortly after its completion. Having emerged from a turbulent history with one of the continent’s most cherished golf courses, Kennemer could do with a restoration of some of its tired and neglected bunkering but otherwise remains a charming links sure to satisfy even the most discerning golfer.